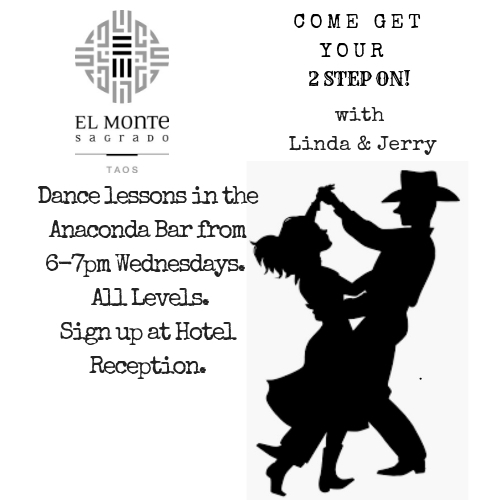 Get Your 2 Step On with Linda & Jerry! Come Get Your 2 Step on with Linda & Jerry! They teach all levels, from beginner to advanced, in the art of 2 Step, Polka, and Waltz. Come enjoy Happy Hour from 4-6pm before the dancing starts in the Anaconda Bar. Learning to Dance has never been so fun! $5 per class. Sign up at Hotel Reception before class so you don't miss any of the action.